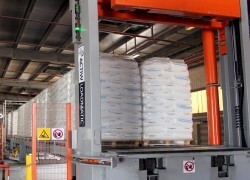 Automated loading has the largest potential for cutting costs in intralogistic operations. Its adoption is however marginal. Why? Before, loading automation has demanded hefty investments both at the sending and receiving ends and has required alterations to the cargo space or special structures beneath the cargo. This has made automated loading suitable for internal logistics, at most. Not anymore! 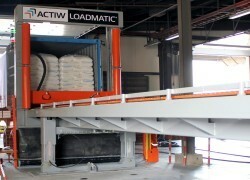 Actiw LoadMatic ATLS (Automated truck loading system) makes trailer and container loading as easy as it should be. It is the last link in the end-to-end solution for fully automating pallet handling in the warehouse. 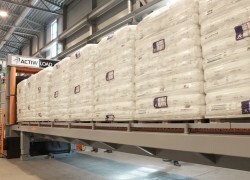 In short, the LoadMatic is a plate which sequenced pallets are rolled onto. When a full truck load is ready, the LoadMatic simply loads the cargo into the truck or container in one push. No alterations to the cargo space or substructures beneath the cargo are required. The LoadMatic is seamlessly integrated to any production, warehouse or sequencing system. 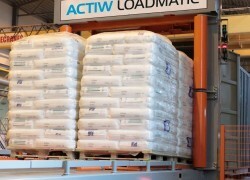 What Actiw LoadMatic offers to you?